From left to right: Ludovic Houplain, Véronique Marrier, Jeremy Tankard, Rachel Cazadamont, Jean François Porchez on the back. The second lecture of the Type@Paris program took place Wednesday 24 June 2015 night at Le Tank. As the first #tptalks15 last 17 of June next one is this 1 July 2015, this gathering around the typography was a success from every point of view. Pizza and beer was amazing as well as the performance of speakers, H5 and Jeremy Tankard. It’s in a crowded and enthusiastic hall that two heavyweights from the H5 agency have initiated the hostilities. This agency created in 1996 took its first steps in graphic design through music and more specifically in the universe of the “French Touch”. By the turn of the 2000s, designers, art directors and directors have gathered under one entity (H5) struggled to create clips and album covers in order to “break up the obsolescence” of French music. The company being a huge successful, it served them as a springboard in expanding themselves to other universes. Today, the agency has evolved and counts many projects to its credit. As various the ones than the other, and intended to brands such as Le Coq Sportif, Mercedes or Dior, they guarantee to the agency an international recognition. It is therefore, at the peak of their prestige that these two representatives from H5, Rachel Cazadamont, graphic designer within H5 since 1999 and Ludovic Houplain, co-founder of H5 have exhibited their vision of their profession through various projects . The Anne Hidalgo’s campaign as mayor of Paris or the Hello H5 exposure to Gaite Lyrique are examples. All different, these projects however suggest the same ethics advocating a systematic questioning on the “approach and sense rather than style” and an attraction for typography. Apart the fact that H5 does not create them, typefaces however are for them an essential tool permitting to create unique visuals as well as striking and distinctive logos. @Studio_V2 @letankparis heureux que ça vous ait plu ! After a short break to stretch their legs, have a drink and taking a look at the respective stands of Adobe, Fontyou and Typofonderie, the Talk evening radically changed his tone with Jeremy Tankard. 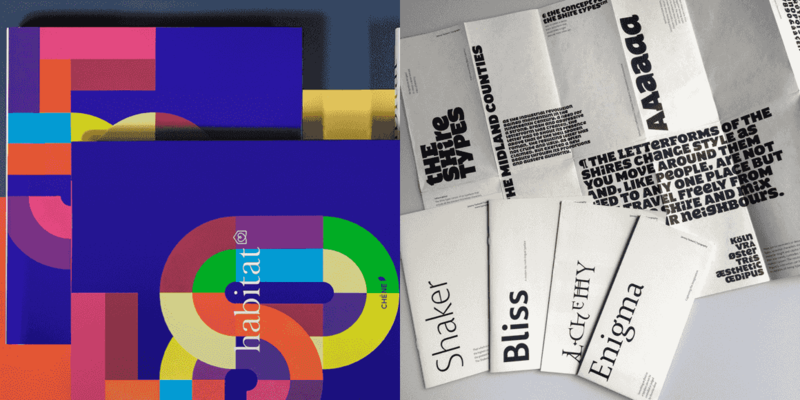 This graduate of the prestigious Royal College of Art in London in 1992, works on his own since 1998, produces remarkable typefaces through their qualities and their design. His professionalism and creative spirit helped him to stand out quickly and to gain a worldwide fame. His distinction granted by the Type Director Club for his “Blue Island” typeface in 2000, his agreements with large companies such as Microsoft and its many Lectures around the world (from Vienna to Vancouver via Zurich) perfectly illustrates it. Thus, this type designer passionate by his work was deeply concerned in describing the confection of typography rather than its utilitarian feature. With his pure British accent, he worked on unveil from end to end his “process” of creation by detailing the why from the how. Behind each of his typeface is hiding all a personal history and a true reasoning. “What is the meaning of typography? Why is it so fascinating? Why am I doing this job?” are as much questions than Jeremy arise and which he has attempted to treat during his Talk. Nevertheless, he missed time to the chagrin of Internet users who followed his Lecture through the Adobe’s Livestream. However some lucky ones, present at Le Tank were able to extend the pleasure by coasting along Jeremy as well as the two representatives of H5 around a cocktail offered by the Tank. This is how was fenced this rich in knowledge and friendliness evening. But to paraphrase a certain Antoine Louis “#tptalks15 are awesome, and it’s only week 2!”. Thank you to all present this evening!